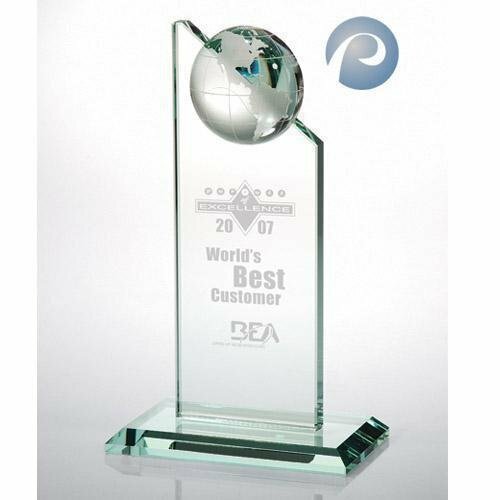 Delightful award with a diamond-shaped jade glass top on a smooth jade glass base. 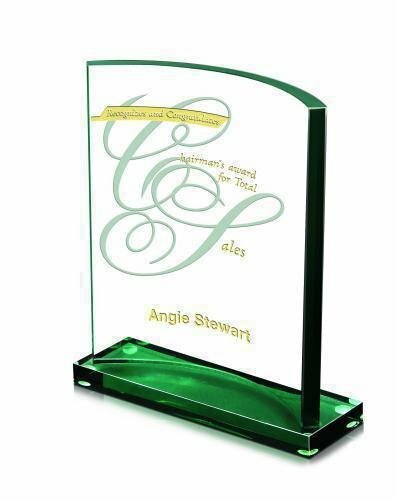 This sweeping rounded jade glass award design has unique brushed chrome accents on the sides and a piano finish wood base. Two sizes available. Large (shown) measuring 7 1/8" wide x 2 3/4" deep x 8 3/8" tall. Small measuring 5 7/8" wide x 2 3/4" deep x 6 3/4" tall. 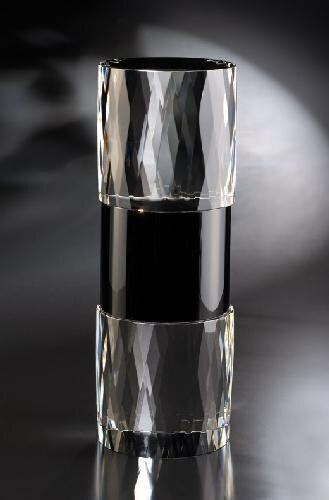 A perfect glass award for employees, friends, teachers or any special award recognition occasion. Jade Glass World Globe Pinnacle Glass 1/2" thick. Optical Crystal Globe attached. Cardboard gift box included.